Some cancers, like skin cancer, breast cancer and radiation treated cancers may develop into an open wound in the skin. Most people who have cancer will never experience the unique pain and discomfort of a fungating tumor, but for those who do, being treated by an experienced surgeon is imperative. As one of the most reputable plastic surgeons in the Beverly Hills, California, area, Dr. Joel Aronowitz, of Tower Wound Care Centers in Los Angeles, can help manage these ulcerating lesions even when they become quite large to prevent unnecessary damage to surrounding tissues and allow the patient a more normal lifestyle. Call the office for more information or request an appointment online today. Often referred to as ulcerated cancer wounds, fungating tumors are tumors that grow to the point that they break through the skin. The growth of cancer beneath the skin blocks blood vessels and oxygen supply to the affected area, ultimately causing the infection and ulceration. They are extremely rare, and as such, very few doctors actually specialize in removing them. That’s why Dr. Aronowitz’s experience in treating advanced ulcerated tumors requiring local wound care and nonsurgical palliative management is so notable in the medical community. What are the symptoms of fungating tumors? The presence of a fungating tumor is especially prevalent in cancer patients with advanced diseases, so it’s important to contact your doctor right away if you are experiencing any of these symptoms. Am I at risk of developing a fungating tumor? Ulcerated cancer wounds tend to appear more so in patients with recurrent tumors or untreated tumors than in those who regularly seek treatment. They are mostly seen in patients with advanced stage cancer. Most fungating tumors pierce the skin once the cancer has metastasized throughout the body, but primary ulcerated cancer wounds are often seen with skin cancer patients suffering from squamous cell carcinoma or advanced melanoma. Dr. Aronowitz will tailor your treatment plan to your unique situation, depending on the wound type, tumor location, and tumor size. He and his professional team has experience treating these particular types of tumors all over the body. Dr. Aronowitz will review your medical records and work with your current cancer doctors before treating your ulcerated cancer wound. Your personalized treatment plan may involve more than one treatment to reduce, manage or remove the tumor. 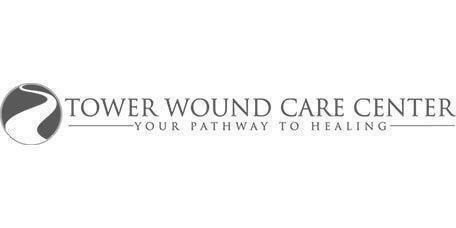 Call the Tower Wound Care Centers today for more information or request an appointment online.